The Immanuel Church used to have stained glass windows like the Aghalee Bar. So it wasn’t uncommon for men who were under the influence to make a mistake and go into the Immanuel instead of the bar, right, instead of getting a drink they’d get ‘what can wash away my sins…’ you know? The Boyne Bridge was very important to a lot of people for different reasons. I think a lot of people generally just want the bridge to remain because it’s always been there, its part of their childhood, part of they’re growing up, happy memories, it’s a familiar landscape. 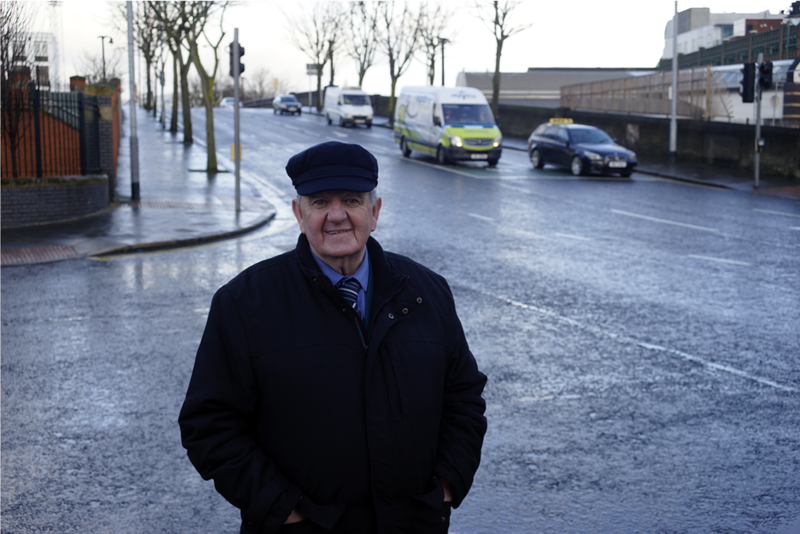 The Boyne Bridge is vital, but especially important for the people who live nearest, which is Sandy Row people, very important to them. You wouldn’t turn around to the people of London and say ‘we’re gonna knock down the bridge’ to them, ‘is that all right? Because it’s of little historical significance.’ Who in their right mind would say that? Who in their right mind would say that the Boyne Bridge has little historical significance?…I rest my case!